Whether you need a cast for your broken leg or major surgery on some vital organ, one of the best places in the world you could possibly be is right here in Alberta, where race, gender, age, religion, lifestyle, or the amount of cash in your bank account doesn’t matter. You’re going to get the help you need! Alberta Health Services (AHS) is the largest province-wide, fully-integrated health system in the country, delivering the very best in health and medical services to more than four million Albertans (& beyond) twenty-four hours a day, seven days a week. The Health Sciences building at the University of Alberta Hospital. It’s made up of about 120,000 employees and well over 15,000 volunteers at more than 100 acute care hospitals across the province who have teamed up with other important health authorities, such as Alberta Cancer Board, Alberta Mental Health Board, and Alberta Alcohol and Drug Abuse Commission (AADAC). There are eight hospitals within the Capital Health Region alone, including Edmonton’s Misericordia, Grey Nuns, Royal Alexandra, and the University of Alberta Hospital, the latter of which doubles as a research and teaching facility. 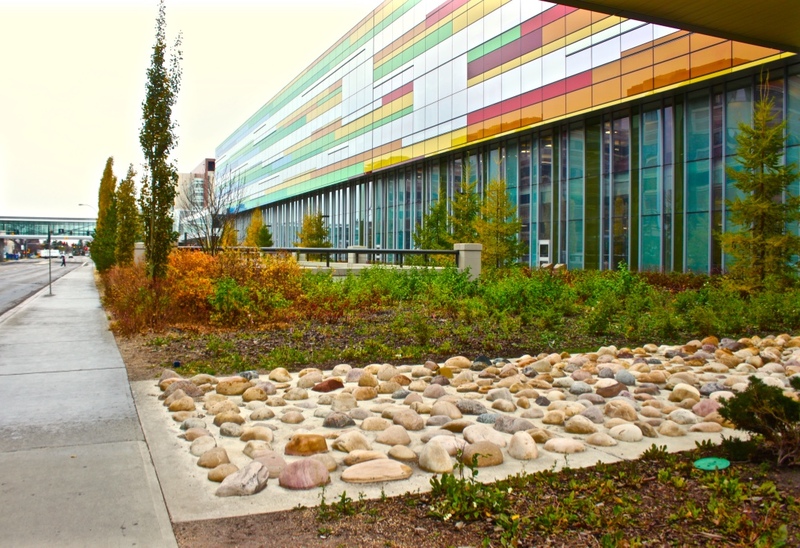 One of Edmonton’s most prized possessions is the UofA’s Stollery, essentially a “hospital within a hospital,” dedicated to helping sick children since it opened in 2001, thanks to an indispensable contribution from local philanthropists Bob and Shirley Stollery. There are countless stories with happy endings that have been made possible because of places like the Stollery, or the Mazankowski Alberta Heart Institute, the Cross Cancer Institute, the Edmonton General Continuing Care Centre, the Glenrose Rehabilitation Hospital, or even the numerous clinics spread throughout Edmonton.